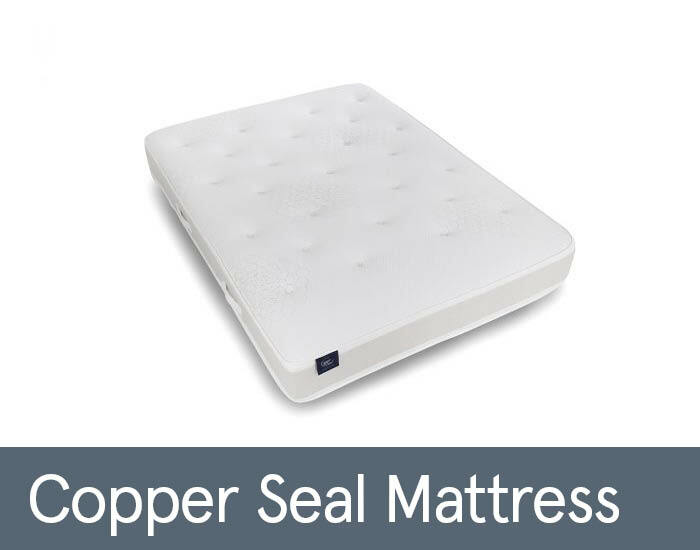 The Copper Seal mattress is the entry model from the Slumberland Vintage Seal Collection. It combines 1600 pocket springs - the upper part of the spring shapes to the body contours while the lower part absorbs changes in weight distribution for the ultimate comfort and support. Range benefits from the newly developed Rheia foam that delivers up to four times more airflow than standard foams, allowing greater breathability and helps you wake refreshed in the mornings. The spring unit is complimented by a cotton layer added to the mattress to help provide a comfortable feel and enhances breathability. The Vintage Seal Collection is upholstered in a soft knit cover to provide smooth cushioning. The range is available in Single, Double, King or Super King size.